This recipe graciously stolen from allrecipes.com. 1. 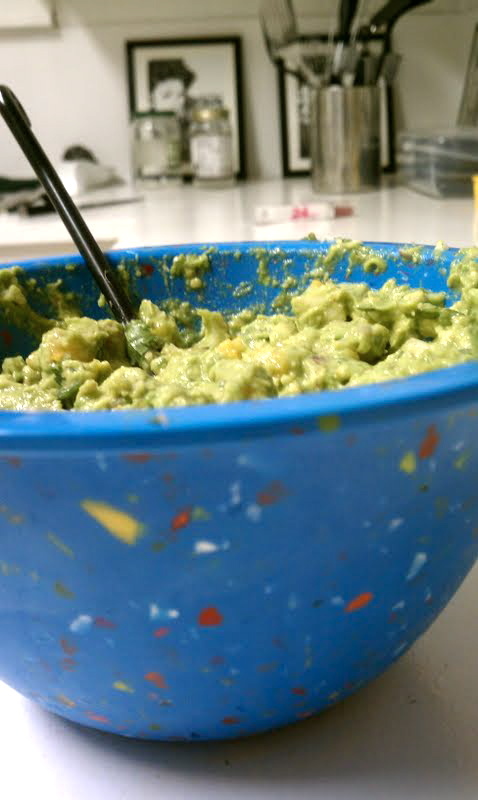 In a medium bowl, mash together the avocados, lime juice, and salt. 2. Chop onion, cilantro, tomato, and garlic. 4. Mix in onion, cilantro, tomato, and garlic. 5. Stir in cayenne pepper. 6. Serve immediately. Guacamole will brown quickly! Éste es guacamole perfecto. Usted tiene que intentarlo con tocino curruscante o con pollo. ¡Yum! This recipe stolen graciously from Elaine Gloria Gottschall of Breaking the Vicious Cycle: Intestinal Health Through Diet. 4. Spoon the mixture into muffin tin lined with paper cases (or non-stick muffin tin). We used two spoonfuls per muffin hole. 5. Bake for 15 to 20 minutes or until muffins spring back when pressed. Let cool 5-10 minutes. 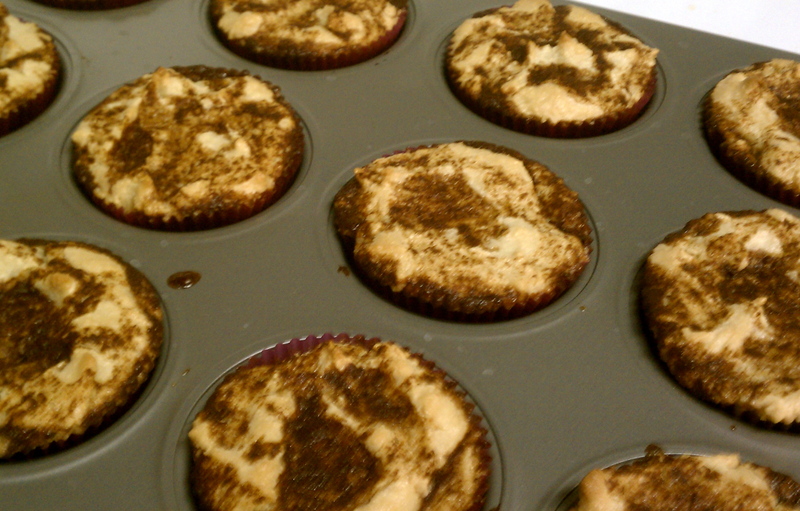 Due to the almond flour, these muffins have a slightly sweet, nutty flavor to them. I love these muffins! If your muffins (or any other baked goods, especially if you’re not using wheat flour) don’t rise, make sure you have fresh baking soda – it weakens over time. This recipe stolen graciously from Fernpixel. 2. Cut each banana in half (1 banana creates 2 Banana Pops). 3. Insert stick into each piece of banana. 4. Sprinkle cinnamon and nutmeg on all sides, to taste. 5. Put the Banana Pops inside Tupperware or freezer Ziplock. 6. 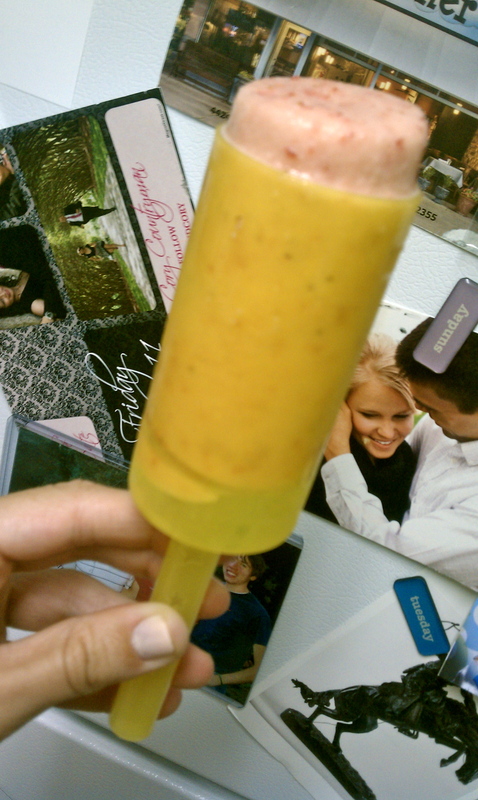 Place container with Banana Pops inside freezer and wait 2 hours or overnight. 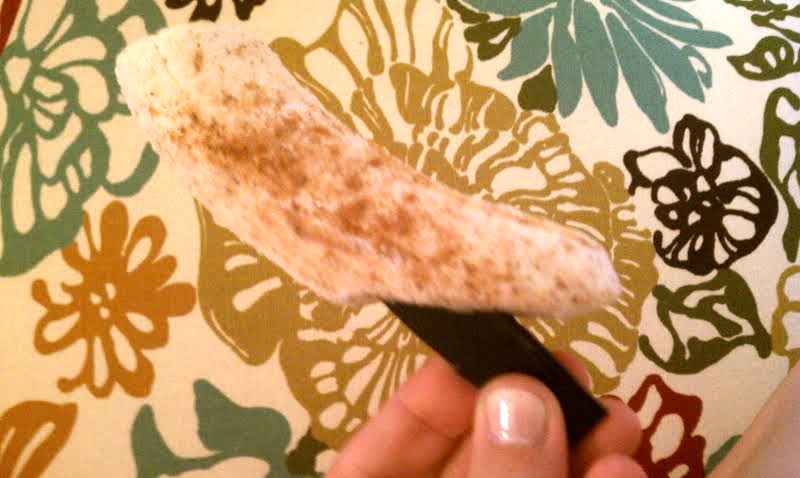 We may not have a banana stand, but these frozen treats are pretty darn good!